Sophie la Girafe was ?born? 50 years ago in the French Alps. 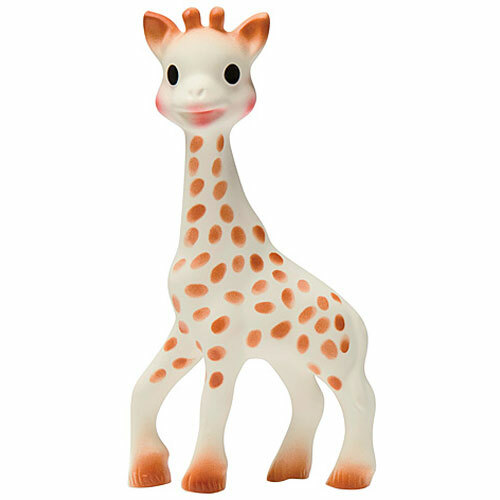 This adorable 7" giraffe provides visual and hearing stimulation, is great for teething, and is very light for easy grasping and holding. 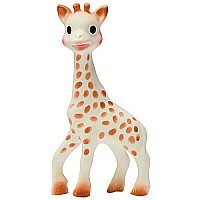 Made from soft, baby-friendly, 100% natural rubber with nontoxic paint. Wipes clean. For ages birth to 8 mos.